We have often written about and discussed the lack of poor CDL training requirements within the trucking industry. Due to the constant turning over of drivers, a never-ending revolving door exists between the CDL truck driving schools and the motor carriers. On one hand, many see the responsibility of proper training belonging to the CDL school, while others comment that the real training begins with the motor carrier. Too many regulations have long been a burden on the trucking industry, including those which have made it necessary for a new entry-level driver to have to pay thousands of dollars to a CDL school in order to “be able to pass the CDL tests.” We have discussed in detail, the many fraudulent schemes and mistreatment that takes place within the industry against CDL students and new drivers, including those by the driver trainer as well. It is no secret that CDL trainees have been thrown out of the truck and left abandoned by their driver trainer. Many of these cases have occurred due to no fault of the trainee other than being placed with a poor, unprofessional driver that has only been given the title of “trainer” by their company. These acts of violence have been reported many times and do still occur, but now it is time to look at the other side of the story. The CDL driver trainer has a very tough job to do. With all the responsibilities that come with long-haul trucking, they now have the added encumbrance of ensuring that the new trainee can safely operate an 80,000 pound machine. Not only is it physically challenging, it is very mentally challenging as well, and all too often the driver trainer becomes the target of violence by the trainee. Driver trainers have been assaulted and threatened by trainees, both verbally and physically. Reasons for their actions range between them feeling that the trainer is keeping them too long in the training phase to playing music on the radio too loud. As ironic as it sounds, trainees that act this way toward their driver trainer do not even realize that they do so against the very person that holds the key to their career in their hands. CDL training has many problems, many of which revolve around two strangers, being locked up in a truck together for twenty four hours per day, seven days a week, for weeks on end. Violence against the driver trainer by the driver trainee is unacceptable for the professional trucking industry and steps should be taken to protect the trainer as well. 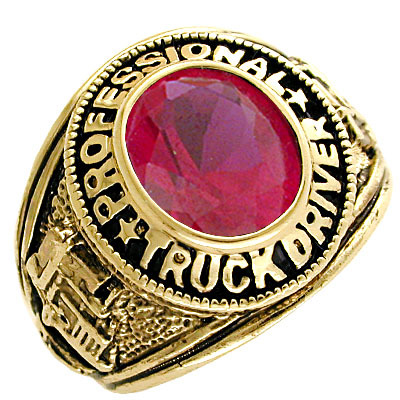 If trainees will verbally or physically assault the one person that can either make or break their new career, then how will they react to all the stress and responsibilities that come with being a professional over the road truck driver? Because motor carriers are most often in constant need of drivers, the standard rule of thumb is to accept any qualified applicant that comes along and get them in the truck moving. Today, qualified means those driver applicants with a clean Pre-Employment Screening (PSP), under the new CSA regulation. In the past, a driver was considered qualified based on their driving record, credit report, DMV report and DAC report. Under both of these qualification standards, unfit or unqualified applicants can still make their way into a driving position. More standards should be enacted by the motor carrier to prevent the acceptance of truck driver trainees into the profession, that could prove to be threatening or violent against the trainer. As in the case of the TWIC card, the driver is usually responsible for paying for the FBI criminal background check. If motor carriers are to be serious about CDL training standards, they must do a complete and thorough research on a driver applicant, especially a recent CDL graduate that is new to the industry and the trucking way of life. Trainees must sign an agreement, stating that they understand that workplace violence is any act of physical violence, threats of physical violence, harassment, intimidation, or other threatening, disruptive behavior. Signs of past anger or criminal activity, along with former charges of assault or threatening behavior should be investigated, and the trainee will be responsible for paying for the background check. Motor carriers should have the trainee sign a waiver stating that if at any time, the trainer feels threatened, either verbally or physically, the trainer has the right to abdicate their position as trainer, use the CMV to separate themselves from the threat, and the trainee will be immediately terminated with no responsibility by the trainer or motor carrier to provide transportation for the trainee back to their home base. Trainees must sign a waiver, understanding that any act of violence toward the trainer will result in the motor carrier contacting the proper authorities and legal action will be taken under the full extent of the law. In-House Pre-Employment Screening – Utilized by the motor carrier’s personnel and legal departments, pre-employment screening techniques of trainees to include interview questions designed to recognize possible behavioral problems such as anger control issues. Risk Assessment Team – This team would work to determine the overall risk that the trainee could bring to the industry in relationship to workplace violence, and if appropriate, execute a plan to remove the trainee from further pursuing a career as a professional driver. Recognition and Training Meetings – The motor carrier should hold regular meetings with their driver trainers on how to recognize ominous violent, intimidating, threatening and disruptive behavior from a trainee and know the proper reporting procedures to take. Driver Trainer Assistance Program – An established contact for the trainer to reach trained members in workplace violence, and assist the trainer, if needed, in removing him or herself from the violent situation. Professional truck driving is for professionals. Trucking is not a one-way street where the CDL graduate or new driver holds all the cards. They too, have responsibilities and assaulting their driver trainer, in any form or fashion, should be unacceptable among the industry. The driver trainer has the responsibility in determining if the trainee is suitable for holding the position as a professional CMV driver and furthermore, under the liabilities of the EEOC, the motor carrier will be, “liable for harassment by non-supervisory employees or non-employees over whom it has control.” (e.g., driver trainees.) Violence against the driver trainer by the trainee, should be taken very seriously by the motor carrier. If the student CDL driver believes that they can mistreat the trainer in such a manner, then they should have no right in being able to call themselves a “professional” truck driver and they too, must face the consequences of their actions.